See you on the way down. 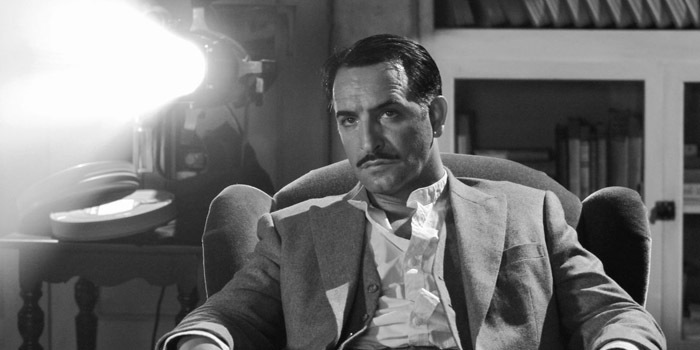 Despite Jean Dujardin being a virtuoso charmer and perfectly cast, the falling star of the silent screen he plays here is a disagreeable prima donna – ungrateful, self pitying and sinfully proud. There are inspired strokes of visual invention, but overall The Artist wavers too relentlessy between engaging and tiring as the hero’s nadir drags on for half the movie. In the end The Artist‘s charm is in the eye of the beholder, and on that count divides the room along much the same lines Hugo did. I was surprisingly captivated throughout the entire film!